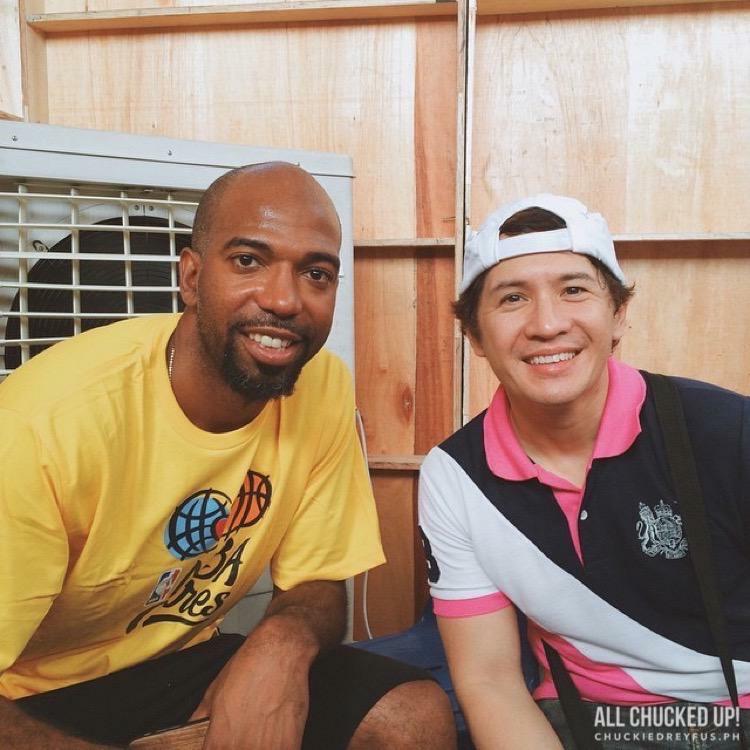 Globe Tattoo x NBA Cares Basketball Clinic with Richard "Rip" Hamilton - All Chucked Up! 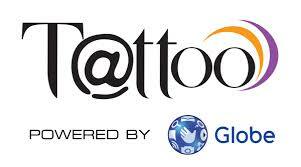 I have always admired Globe’s wonderful efforts in helping our less fortunate brothers and sisters. 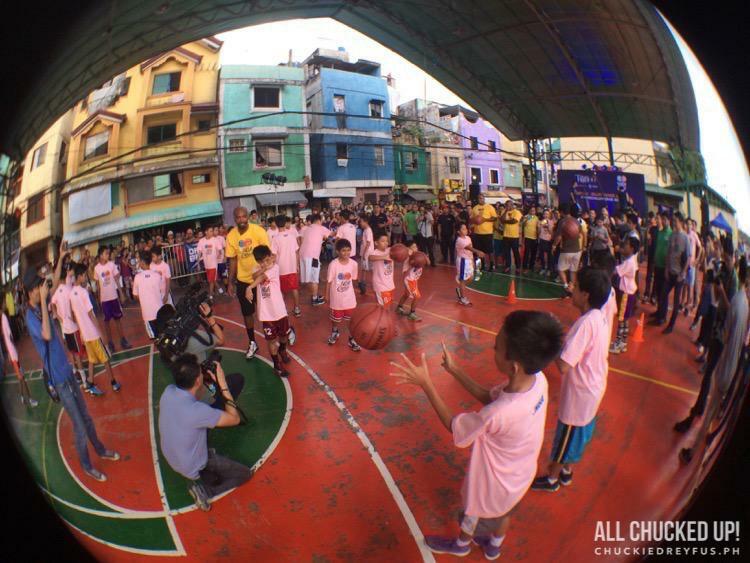 You may not be aware, but Globe is constantly giving back in a whole lot of ways. Building homes for Yolanda victims, helping raise schools in provinces, as well as creating opportunities for fellow Filipinos. 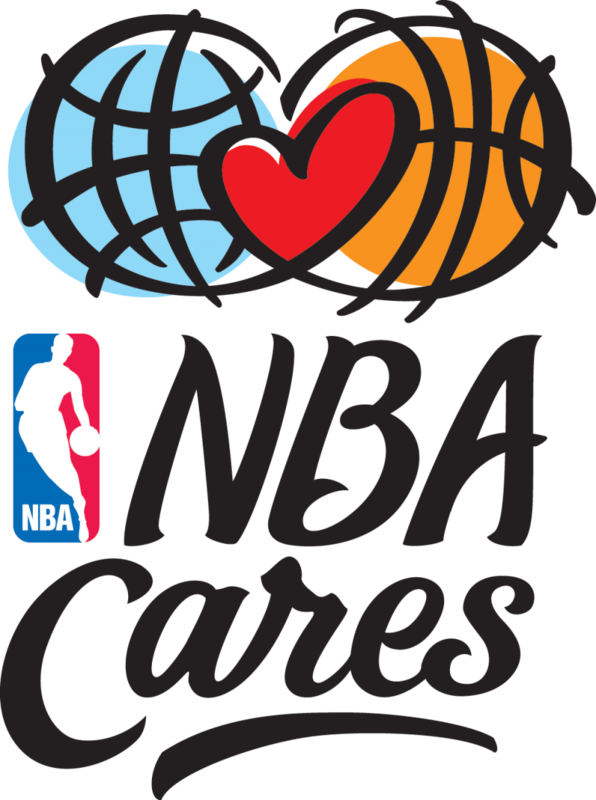 With Globe Tattoo’s recent partnership with NBA Cares, I knew that it only meant greater things for all of us. 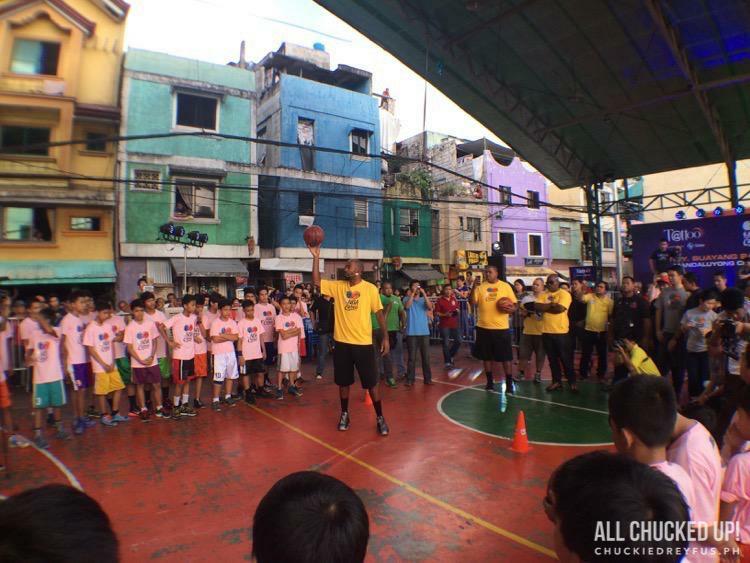 Apart from better promos and NBA related offerings, visits from NBA superstars would become a common thing. And boy was I not mistaken. 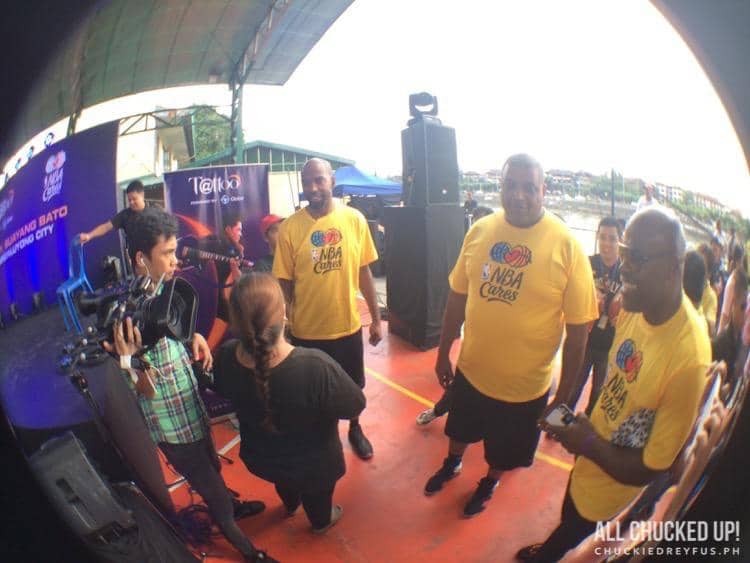 Just days after their landmark partnership, I was invited to be a part of the Globe Tattoo x NBA Cares Basketball Clinic which was to be conducted by NBA star, Richard “RIP” Hamilton. Richard Clay “Rip” Hamilton (born February 14, 1978) is an American professional basketball player He last played for the Chicago Bulls of the National Basketball Association (NBA). Hamilton has also previously played for the Washington Wizards and the Detroit Pistons. A three time All-Star, Hamilton was an instrumental part of the Pistons’ 2004 NBA championship, and their run of six straight Eastern Conference Finals appearances from 2003 to 2008. 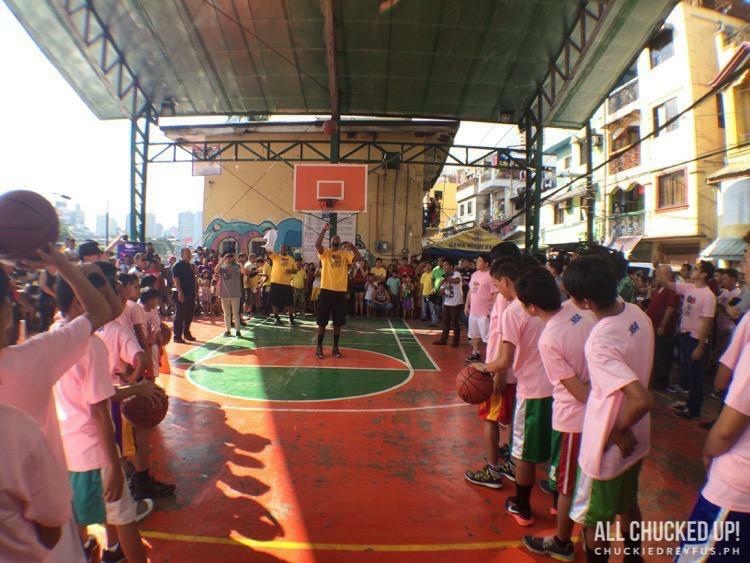 The Globe Tattoo x NBA Cares Basketball Clinic was set at Brgy. Buayang Bato, Mandaluyong. Being an NBA fan myself, naturally, I said yes with no hesitation! I brought my 17 year old son as well since he shares the same passion for basketball as I do. 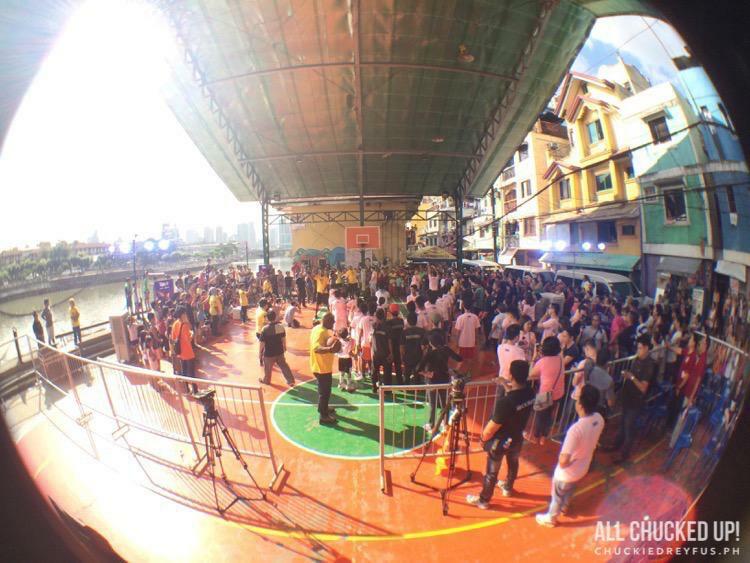 Upon arriving, you could immediately feel the air of excitement inside the covered court. 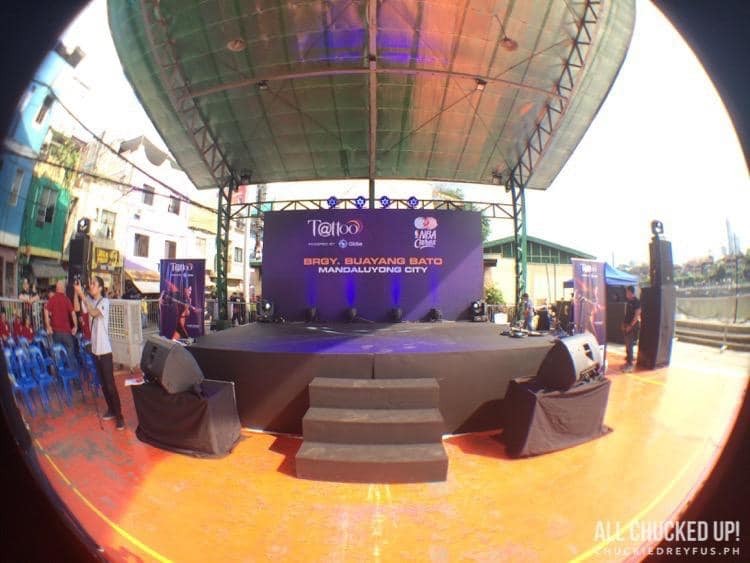 I also noticed that Globe Tattoo setup a stage on one end of the basketball court. Interesting. I wonder what else they had in store for everyone… we’ll get to that later. 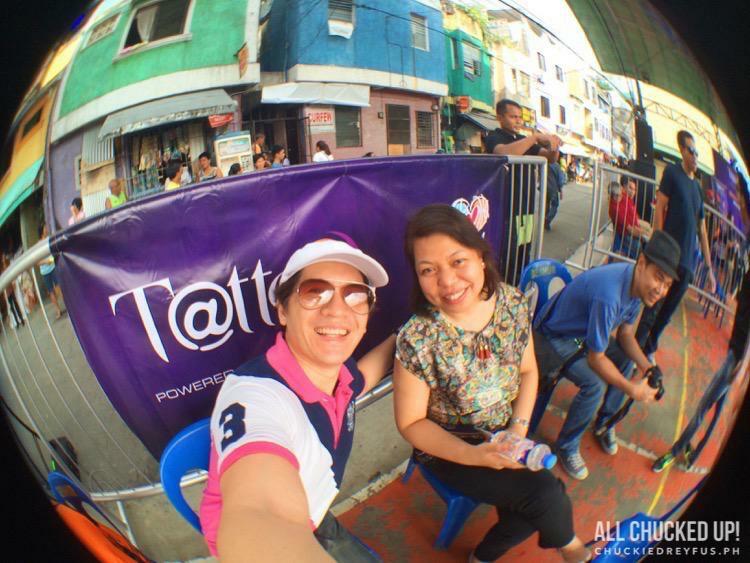 Hangin’ with Ms. Yoly Crisanto (Globe’s SVP of Corporate Communications) before the start of the basketball clinic. Richard “Rip” Hamilton has arrived! A few minutes later, he finally arrived! 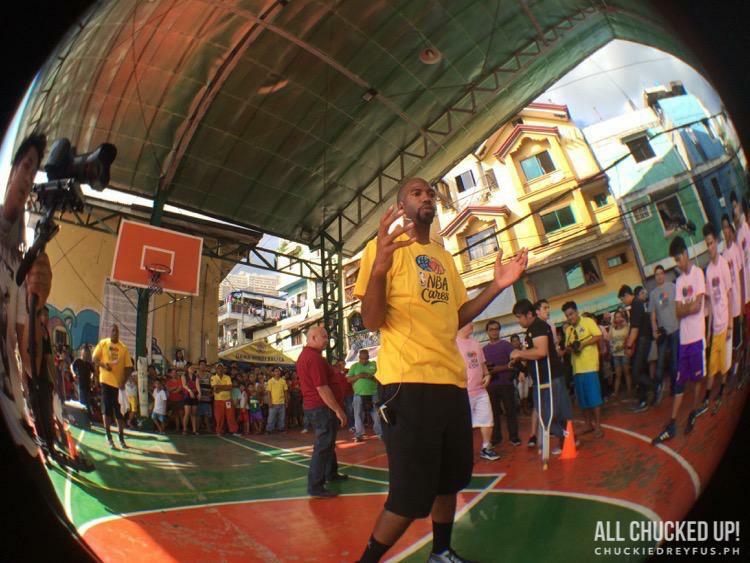 Rip Hamilton was in the house and ready to give the kids of Brgy. 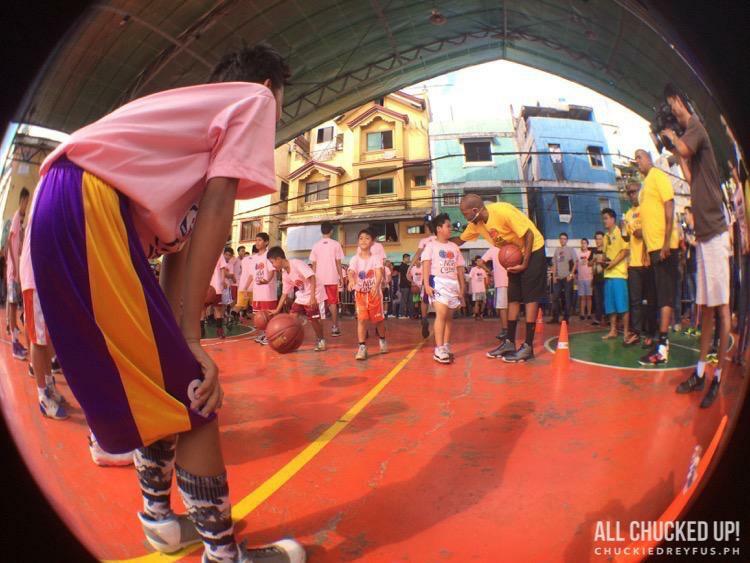 Hagdang Bato cool lessons on basketball as well as teach them a few fundamental skills that has made him a great NBA shooting guard. Everyone went crazy. 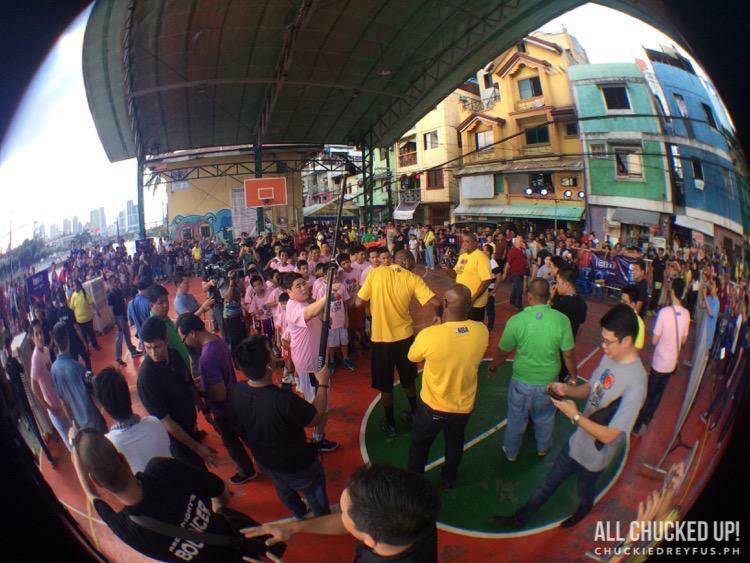 Even people who were inside their houses rushed to the covered court to get a glimpse of the NBA superstar conducting this much anticipated Globe Tattoo x NBA Cares Basketball Clinic. 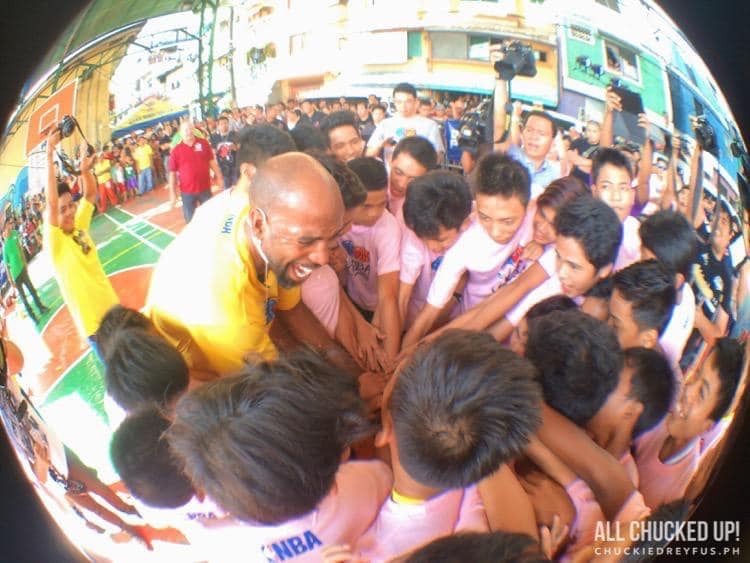 The youth of Brgy. Buayang Bato had the time of their lives from start to finish. 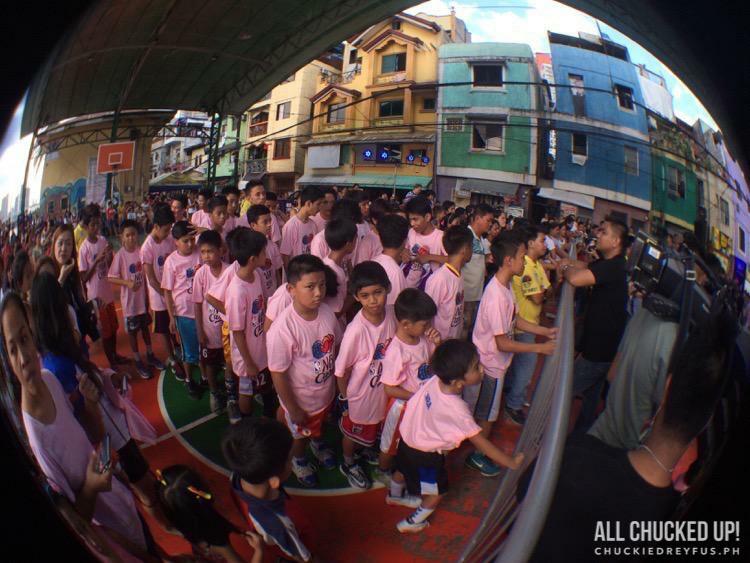 I am sure that even after the Globe Tattoo x NBA Cares Basketball Clinic, they will all have great memories to cherish as well as wonderful lessons from Rip which will help them succeed not just in basketball but in life as well. Right after the clinic, a singer was introduced on stage to surprise the great folks of this place with a couple of musical numbers… it was BAMBOO! 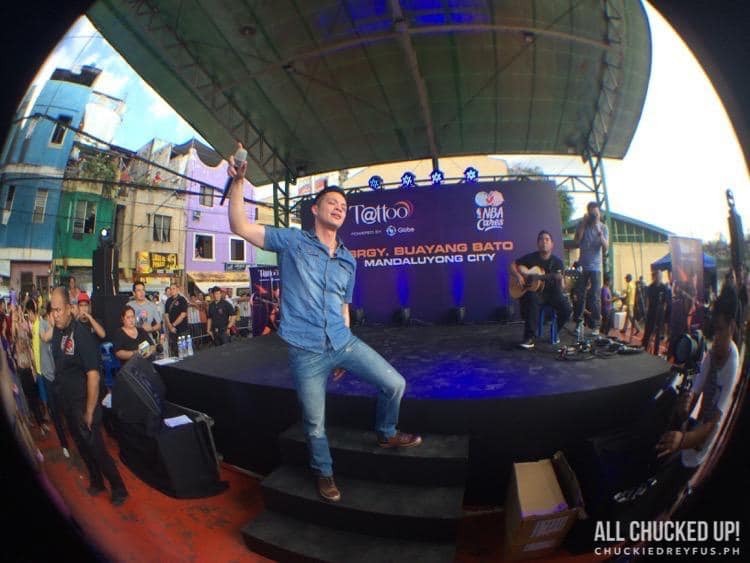 Bamboo, performing a stripped down version of “Noypi”. Incredible! And just like any live Bamboo performance, he most certainly brought the house down! While Bamboo was performing for the crowd, my son and I had an awesome opportunity to sit down and chat with Rip Hamilton backstage. 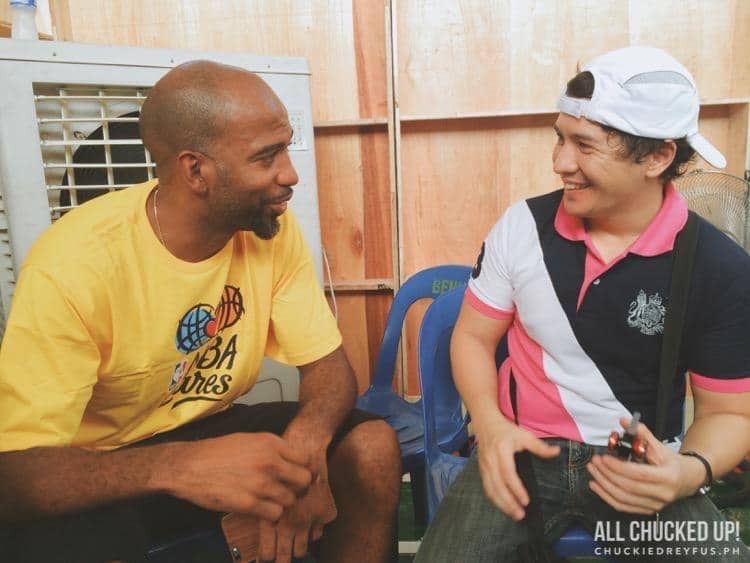 During our talk, Rip told me how amazing it was to see Filipino kids so passionate over basketball. 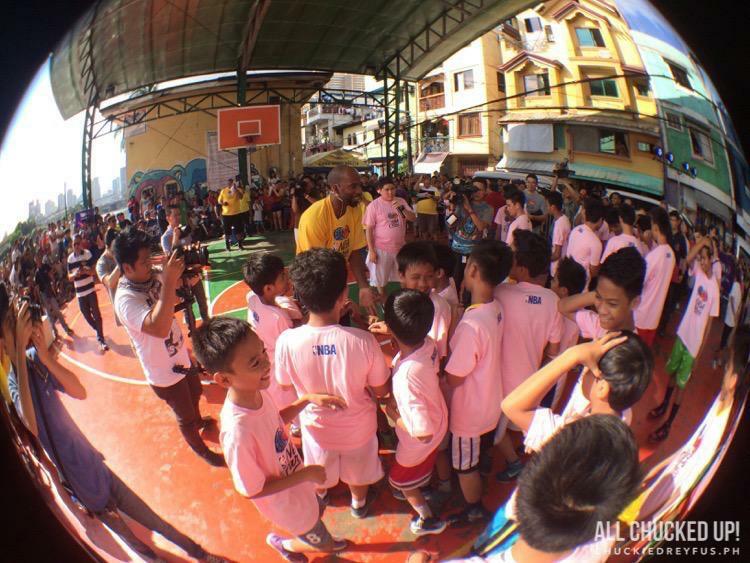 He shared how happy he is to be able to inspire children to reach for the stars and to never stop dreaming. He said that he’d love to come back in the future to explore our country some more and to learn about our culture. 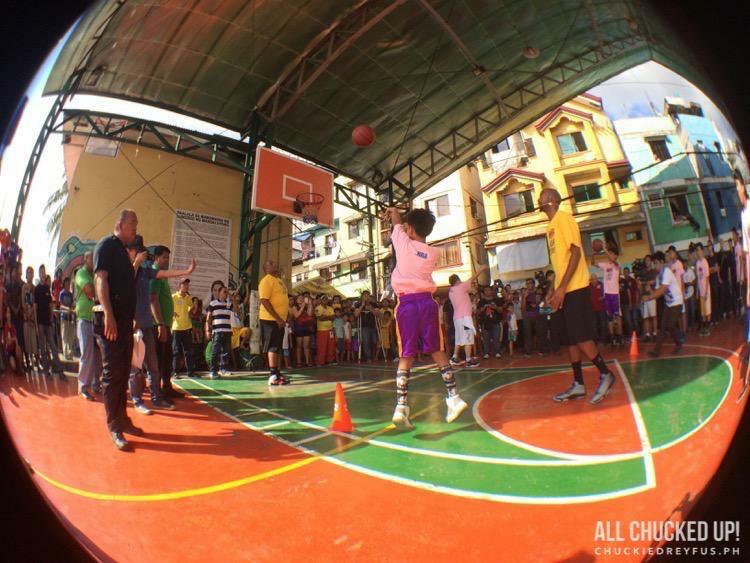 Oh, and he also mentioned how delicious his filipino lunch was during that day. Wondering what he had? Crispy Pata! Yum! It was great spending time with an NBA champion and superstar. My son, Ralph, was overjoyed himself. 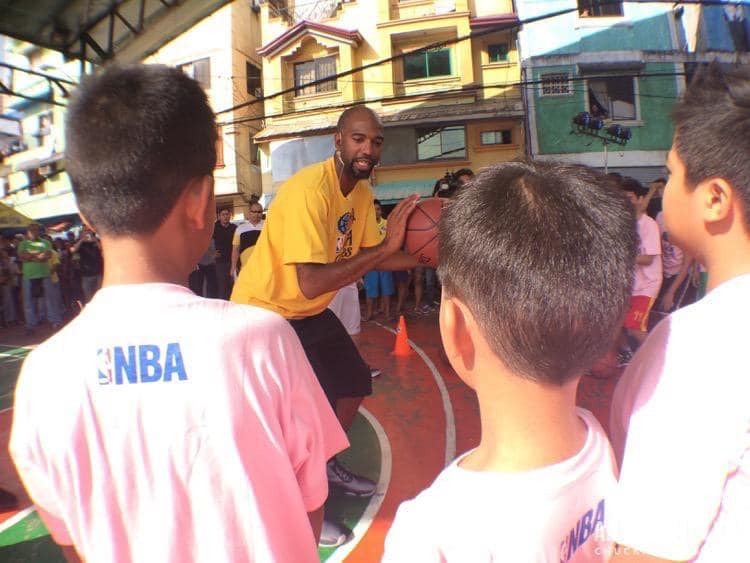 Thank you so much, Globe Tattoo, for this wonderful opportunity to meet Rip Hamilton and to see the joy in the eyes of children whom you and NBA Cares have touched. 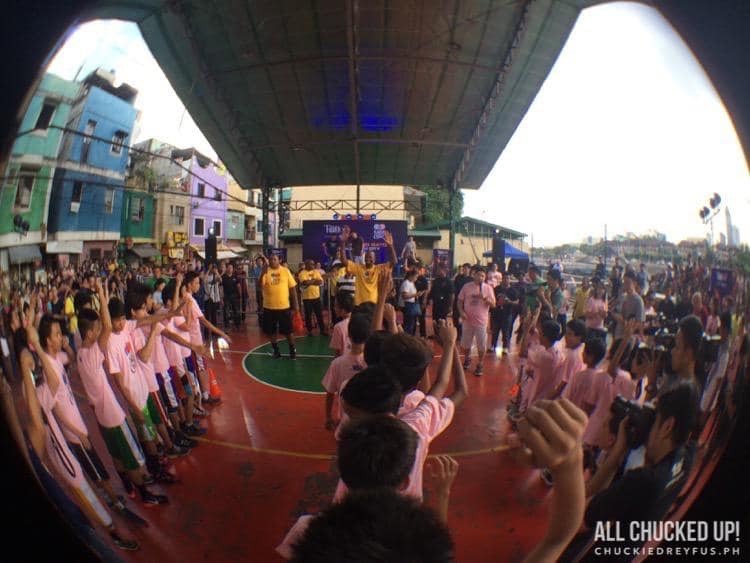 This Globe Tattoo x NBA Cares Basketball Clinic was also a great bonding moment for me and my son which we will never forget. May you be blessed all the more for giving back to others and for bringing hope and happiness to the multitude of Filipinos, near and far, who are in dire need each and every day. ‹ Anda Beach, Bohol – Undiscovered paradise! › Spotify Holiday Playlists – Get into the Christmas spirit!